The Amur River is a major waterway in the north-eastern part of Asia. It is located on the border of China and Russia and forms a natural boundary for 1,000 miles between both countries. With a length of 2,744 miles, it is the ninth longest river in the world and is also the third largest undammed river. The drainage basin of this river covers an area of about 716,200 square miles. The Chinese name of the river is Heilung Jiang that translates to the “Black Dragon River”. 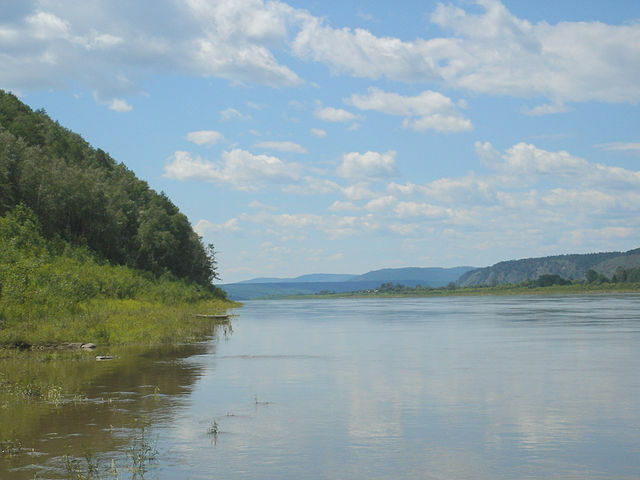 The Amur River is divided into three different sections which are Upper, Middle and Lower. This river originates at the junction of the Shilka River, which rises in the Russian Federation, and the Argun River, which rises in Manchuria. It has around 200 tributaries. The two chief tributaries are the Sungari River and the Ussuri River. The river is the biggest shipping artery in Far Eastern Russia. The most notable cities that lie on this river are the Khabarovsk and Komsomolsk-on-Amur, both in Russia. The upper Amur flows through a mountain valley between spurs of the Da Hinggan Range to the south. The climate of the river’s drainage basin gets affected by various factors including its northern location and the monsoon. The average water discharge at the river mouth is about 385,000 cubic feet per second.